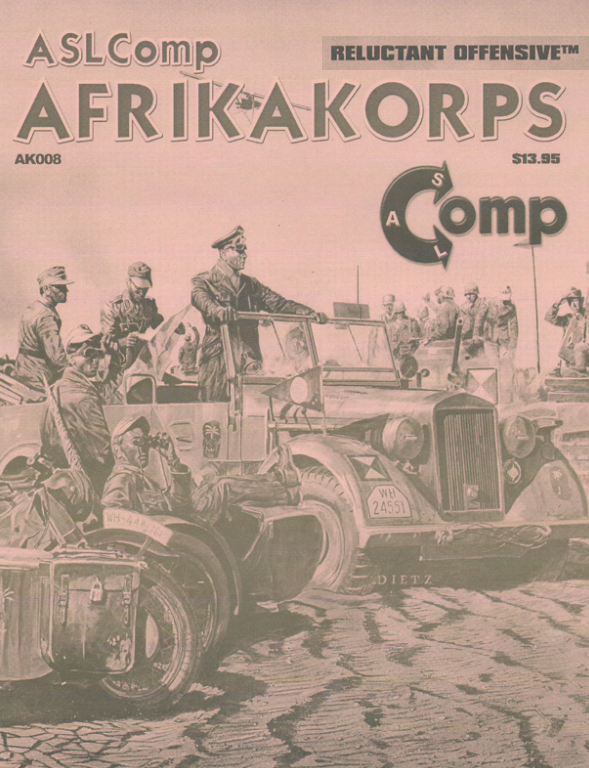 The ninth portion of the set-piece is ASLComp AFRIKAKORPS: Reluctant Offensive and takes the action into early 1941 and the first offensive to capture a city that would become a watchword later in the war: "Tobruk". The action culminates with the Battle of Beda Fomm on a map that recreates the battlefield as well as the long out of print historical map, using the overlay set. This set of 8 scenarios also bring the FORT OVERLAY, depicting Fort Mechili into play. Can you get the Italian garrison in the fort to surrender? We'll leave that to you, your dice and your tactics.